Starting from the 1st June 2010 Dive Asia will be posting one diving related question online daily at 7am GMT giving you the chance at the end of the month to win some great prizes. All daily successful answers will be placed into a lucky dip and one name will be pulled out! The daily winner will be announced prior to following days question and at the end of the month 4 lucky names will be pulled out! Check Facebook, Dive Asia’s blog and also Twitter to see the daily question. The final day for using the free dives is 15th December 2010. Good luck from all at Dive Asia. Congratulations to Charlene and Jessie from Kuala Lumpur. Both finished their PADI Open Water Diver Course with Marcello on board our MV Dive Asia 2 at Raja Yai Island with perfect condition and great viz. Well done you two and hope to welcome you back for some more diving! 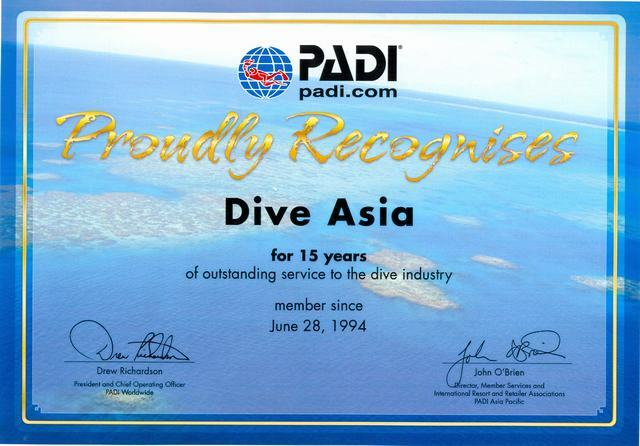 Congratulations Dive Asia on reaching 15 years as a PADI IRRA Member! PADI Asia Pacific recognizes the outstanding contribution Dive Asia have made to the diving community since joining the PADI International Resort and Retailer Association. Milestones such as Longevity, Certifications, IRRA Upgrades and other achievements should be celebrated with your staff and business partners like PADI. It is important to celebrate these milestones, to recognize the significant efforts that are made by owners, staff and families to reach this goals. We at PADI truly appreciate the wonderful contribution you have made to the success of PADI and look forward to working with you and your team for many years ahead. Dive Asia has been a member of the PADI International Resort and Retailer Association since June 28, 1994. Therefore, it gives me great pleasure to presenting this award to you, in recognition of your achievement in reaching the milestone of Dive Asia 15th year of membership with us! Dive Asia, congratulations once again on reaching this milestone in your business and we look forward to promoting your business further in the future as we work together to grow the sport of recreational SCUBA diving. As always, if we can provide any information or assistance at any time, please let us know and we will be happy to support you. Just a small note to you guys for a terrific days diving on Phi Phi Island. I believe after diving with many dive charter companies over the years that yours would have to be one of the safest run and experienced companies I’ve dealt with. 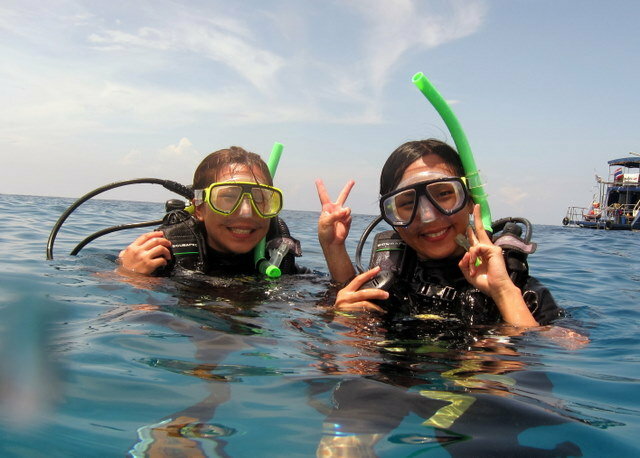 It’s a pleasure to recommend you to anyone who wishes to dive safely in Phuket and have a good time as well, your hire equipment was first class and the vessel was very comfortable. Thanks again.